Dale and Inger Robertson and very good friends and Dale represents me as an agent and producer of the upcoming "Street Prayers.org" Christian talk show. Lord I pray for this couple and that they would grow in their marriage and become one displaying the unbreakable bond of Jesus and the church! Lord bless these 2 coming and going! This entry was posted on Tuesday, August 16th, 2011 at 1:58 pm	and is filed under Harvey Pinkney's caseload. You can follow any responses to this entry through the RSS 2.0 feed. You can leave a response, or trackback from your own site. LORD I pray for Dale and Inger. Touch them Lord and cause them to grow in their marriage. Give them both the "Law of Kindness" in their speech and communication with each other. Lord let their marriage be OVERCOMING in it's demonstration to show what happens when a couple really goes after JESUS! Lord please touch them OH God. Lord please move by your Holy Spirit and empower them to have a successful marriage OH God! Lord please help Dale to develope and cling to your focus regarding the TV show. Let him never give up OH God...but have him fully tap into YOU as he is being led. Lord I thank you Lord that Dale and Inger are doing better! Thank you Lord. Lord I thank you that I saw a smile on Inger's face on Thursday when I was there. Lord I can tell they are doing better. Thank you Lord. Lord I pray for Inger Oh God. I spoke to Dale yesterday. He and Inger had a terrible fight. Lord I pray that you would move on their marriage as you did before Oh God. Lord please speak to Dale as well. He feels that it is all her fault. Lord when I buy him Gary Smalley's book the 5 love languages, Lord help him to read it and to be changed by the wisdom therein. Lord I thank you Lord for Dale and Inger. Lord please help them and give them strength because of the great burden that is upon them because of her mother and her son Oh God. 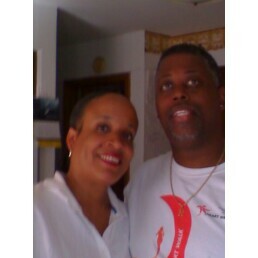 Thank you Lord for the growth that I have seen in them and how they restored their marriage OH Most High by your spirit. Oh God I thank you for these OH Most High, I thank for how good they are doing OH Lord. That they are renting that house and doing so well. Lord I pray that his business prosper. Thank you Jesus for the doors that you Oh God.